InternationalRail have teamed up with All Russian Trains and through us you can book your Russian rail direct. All Russian Trains is a leading Russian tour operator that has direct connectivity with the Russian Railways database. 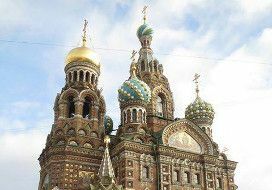 They are also experts in arranging travel visas which travellers of most nationalities will need when visiting Russia. If any further news becomes available we will update this information. If you have any queries regarding rail travel in Russia please do not hesitate to contact us.